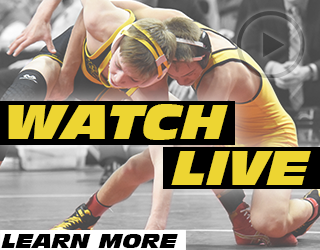 We hope you enjoyed our coverage of the Conflict at Carver this past weekend, as Nic and Kirk kept you up to date on all of the matches on the @IAWrestle Twitter feed. The Conflict had a great turn out as not only did the event see good participation from the surrounding Midwestern states, but competitors came from as far as California, Colorado, Kentucky, and even Oregon. Iowan faired pretty well as they picked up six champions at 100, 106, 113, 120, 126, and 160. There was also an additional five Iowans who were finalists at 106, 126, 138, 145, and 160. Vincent Turk of Izzy Style wrestling club brought home the tournament’s Outstanding Wrestler among high school competitors, with Cullen Schreiver (Middle School), and Carter Fousek (elementary) also earning the honor in their respective divisions. High School (9th-12th Grade) 100 – Kyle Biscoglia’s place is 1st and has scored 21.50 team points. High School (9th-12th Grade) 100 – Drew Bennett’s place is 4th and has scored 10.00 team points. High School (9th-12th Grade) 100 – Philip Ihde’s place is unknown and has scored 0.00 team points. High School (9th-12th Grade) 106 – Dylan Robinson’s place is unknown and has scored 6.50 team points. High School (9th-12th Grade) 106 – Michael Millage’s place is unknown and has scored 8.50 team points. High School (9th-12th Grade) 106 – Noah Fye’s place is 4th and has scored 19.00 team points. High School (9th-12th Grade) 106 – Gable Fox’s place is unknown and has scored 0.00 team points. High School (9th-12th Grade) 106 – Brock Henderson’s place is 6th and has scored 15.00 team points. High School (9th-12th Grade) 106 – Brody Teske’s place is 2nd and has scored 23.50 team points. High School (9th-12th Grade) 106 – Gauge Perrien’s place is unknown and has scored 10.00 team points. High School (9th-12th Grade) 106 – Dante Tacchia’s place is unknown and has scored 0.00 team points. High School (9th-12th Grade) 106 – Will Portis’s place is unknown and has scored 6.50 team points. High School (9th-12th Grade) 106 – Justin Portillo’s place is 1st and has scored 25.00 team points. High School (9th-12th Grade) 113 – Jakob Allison’s place is 4th and has scored 19.50 team points. High School (9th-12th Grade) 113 – Alanah Vetterick’s place is unknown and has scored 0.00 team points. High School (9th-12th Grade) 113 – Gunnar Vance’s place is unknown and has scored 0.00 team points. High School (9th-12th Grade) 113 – Miles McCullough’s place is unknown and has scored 0.00 team points. High School (9th-12th Grade) 113 – Nathan Phillips’s place is unknown and has scored 0.00 team points. High School (9th-12th Grade) 113 – Zachary Willey’s place is unknown and has scored 0.00 team points. High School (9th-12th Grade) 113 – Will Foreman’s place is unknown and has scored 3.00 team points. High School (9th-12th Grade) 113 – TJ Schott’s place is unknown and has scored 8.00 team points. High School (9th-12th Grade) 113 – Lucas Harmening’s place is unknown and has scored 3.00 team points. High School (9th-12th Grade) 113 – Trenten Wennermark’s place is unknown and has scored 3.00 team points. High School (9th-12th Grade) 113 – Connor Cleveland’s place is 5th and has scored 20.50 team points. High School (9th-12th Grade) 113 – Joe Knoke’s place is unknown and has scored 9.00 team points. High School (9th-12th Grade) 113 – Travis Pulse’s place is unknown and has scored 9.00 team points. High School (9th-12th Grade) 113 – Jake Stogdill’s place is 6th and has scored 17.00 team points. High School (9th-12th Grade) 113 – Alex Thomsen’s place is 1st and has scored 26.50 team points. High School (9th-12th Grade) 113 – Garret Thompson’s place is unknown and has scored 4.00 team points. High School (9th-12th Grade) 120 – Carter Hubka’s place is unknown and has scored 4.50 team points. High School (9th-12th Grade) 120 – Anna Gadient’s place is unknown and has scored 0.00 team points. High School (9th-12th Grade) 120 – John Cook’s place is unknown and has scored 0.00 team points. 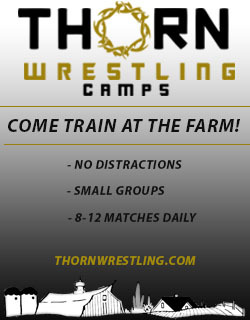 High School (9th-12th Grade) 120 – Nathan Thoms’s place is unknown and has scored 1.50 team points. High School (9th-12th Grade) 120 – Gabriel Surles’s place is unknown and has scored 0.00 team points. High School (9th-12th Grade) 120 – Brant Oshea’s place is unknown and has scored 2.50 team points. High School (9th-12th Grade) 120 – Jordan Moyer’s place is unknown and has scored 5.50 team points. 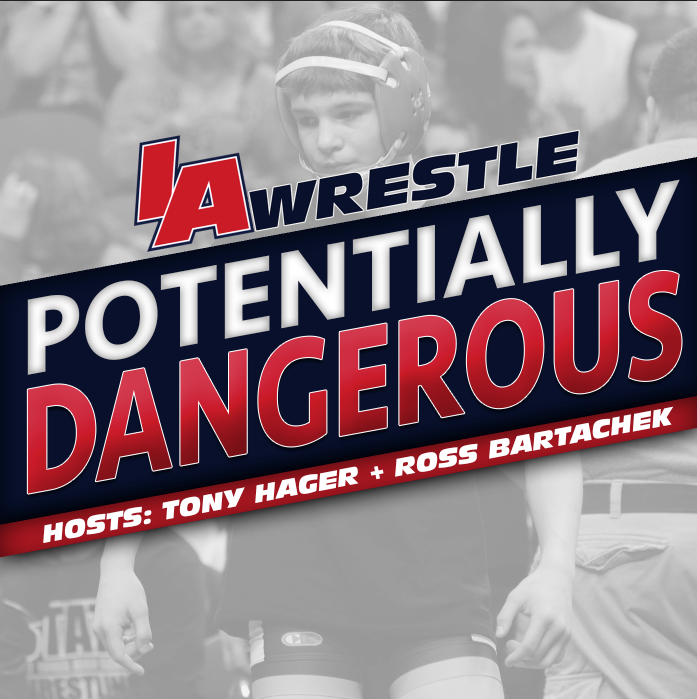 High School (9th-12th Grade) 120 – Tony Heng’s place is 5th and has scored 18.00 team points. High School (9th-12th Grade) 120 – Drew West’s place is 4th and has scored 17.50 team points. High School (9th-12th Grade) 120 – Joshua Portillo’s place is 1st and has scored 21.00 team points. High School (9th-12th Grade) 120 – Austin Yant’s place is 6th and has scored 12.00 team points. High School (9th-12th Grade) 126 – Matthew Menegay’s place is unknown and has scored 3.00 team points. High School (9th-12th Grade) 126 – Ryan Roth’s place is unknown and has scored 0.00 team points. High School (9th-12th Grade) 126 – Ryan Schmalen’s place is 1st and has scored 21.50 team points. High School (9th-12th Grade) 126 – Tanner Greenwald’s place is 6th and has scored 12.00 team points. High School (9th-12th Grade) 126 – Brock Rathbun’s place is 2nd and has scored 20.00 team points. High School (9th-12th Grade) 126 – Andrew Waite’s place is unknown and has scored 6.00 team points. High School (9th-12th Grade) 126 – Wyatt Brauckmuller’s place is unknown and has scored 3.00 team points. High School (9th-12th Grade) 126 – Bryce West’s place is 3rd and has scored 20.50 team points. High School (9th-12th Grade) 132 – Shane Vaughan’s place is unknown and has scored 6.00 team points. High School (9th-12th Grade) 132 – Chase McLaughlin’s place is 6th and has scored 13.00 team points. High School (9th-12th Grade) 132 – Austin Pontier’s place is unknown and has scored 5.00 team points. High School (9th-12th Grade) 132 – Parker Witthuhn’s place is 4th and has scored 19.00 team points. High School (9th-12th Grade) 132 – Tristan Clark’s place is unknown and has scored 6.50 team points. High School (9th-12th Grade) 132 – Kyle Keating’s place is unknown and has scored 0.00 team points. High School (9th-12th Grade) 132 – Andrew Edens’s place is unknown and has scored 0.00 team points. High School (9th-12th Grade) 132 – Keegan Tenge’s place is unknown and has scored 0.00 team points. High School (9th-12th Grade) 132 – Colton Kyle’s place is unknown and has scored 0.00 team points. High School (9th-12th Grade) 138 – Kyle Decker’s place is unknown and has scored 0.00 team points. High School (9th-12th Grade) 138 – Tanner Flesher’s place is unknown and has scored 0.00 team points. High School (9th-12th Grade) 138 – Nick Culver’s place is unknown and has scored 6.00 team points. High School (9th-12th Grade) 138 – Max Forsyth’s place is unknown and has scored 8.00 team points. High School (9th-12th Grade) 138 – Dylan Schuck’s place is 2nd and has scored 22.00 team points. High School (9th-12th Grade) 138 – Seth Wennermark’s place is 6th and has scored 13.00 team points. High School (9th-12th Grade) 138 – Jordan Larson’s place is unknown and has scored 4.50 team points. High School (9th-12th Grade) 138 – Maxwell Wehage’s place is unknown and has scored 0.00 team points. High School (9th-12th Grade) 145 – AJ Geers’s place is unknown and has scored 8.00 team points. High School (9th-12th Grade) 145 – Lane Rumelhart’s place is unknown and has scored 6.00 team points. High School (9th-12th Grade) 145 – Rachel Watters’s place is unknown and has scored 0.00 team points. High School (9th-12th Grade) 145 – Drake Healey’s place is unknown and has scored 9.50 team points. High School (9th-12th Grade) 145 – Brock Parker’s place is unknown and has scored 0.00 team points. High School (9th-12th Grade) 145 – Austin Lewis’s place is unknown and has scored 2.00 team points. High School (9th-12th Grade) 145 – Anthony Dudek’s place is unknown and has scored 0.00 team points. High School (9th-12th Grade) 145 – Jack Koethe’s place is 6th and has scored 14.50 team points. High School (9th-12th Grade) 145 – Colton Clingenpeel’s place is 2nd and has scored 22.00 team points. High School (9th-12th Grade) 145 – Cody Lambert’s place is unknown and has scored 3.00 team points. High School (9th-12th Grade) 145 – Ryan Faught’s place is 4th and has scored 18.00 team points. High School (9th-12th Grade) 152 – Ryley Smith’s place is unknown and has scored 4.50 team points. High School (9th-12th Grade) 152 – Nick Hyland’s place is unknown and has scored 6.00 team points. High School (9th-12th Grade) 152 – Dakota Hennigar’s place is unknown and has scored 1.50 team points. High School (9th-12th Grade) 152 – Ryan Schott’s place is unknown and has scored 4.50 team points. High School (9th-12th Grade) 152 – Nick Jorgensen’s place is unknown and has scored 0.00 team points. High School (9th-12th Grade) 152 – Eric Bruening’s place is unknown and has scored 0.00 team points. High School (9th-12th Grade) 152 – Kort Johnson’s place is unknown and has scored 10.50 team points. High School (9th-12th Grade) 152 – Jimmy Sampson’s place is unknown and has scored 11.00 team points. High School (9th-12th Grade) 152 – Brady Brott’s place is unknown and has scored 0.00 team points. High School (9th-12th Grade) 152 – Zachary Bruns’s place is 4th and has scored 20.50 team points. High School (9th-12th Grade) 152 – Jake Niichel’s place is 6th and has scored 15.00 team points. High School (9th-12th Grade) 152 – Matthew Malcom’s place is 3rd and has scored 25.50 team points. High School (9th-12th Grade) 152 – Tristan Johnson’s place is 5th and has scored 17.00 team points. High School (9th-12th Grade) 160 – Jacob Carlson’s place is unknown and has scored 3.00 team points. High School (9th-12th Grade) 160 – Nathan Kelsay’s place is unknown and has scored 0.00 team points. High School (9th-12th Grade) 160 – Alec Fjelstul’s place is 2nd and has scored 17.50 team points. 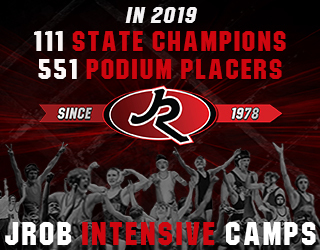 High School (9th-12th Grade) 160 – Noah Reeves’s place is unknown and has scored 7.00 team points. High School (9th-12th Grade) 160 – Michael Neal’s place is 3rd and has scored 19.00 team points. High School (9th-12th Grade) 160 – Salvator Arzani’s place is 1st and has scored 22.00 team points. High School (9th-12th Grade) 160 – Mason Ites’s place is unknown and has scored 4.50 team points. High School (9th-12th Grade) 160 – Drew Anderson’s place is 6th and has scored 10.00 team points. High School (9th-12th Grade) 170 – Michael Kent’s place is unknown and has scored 0.00 team points. High School (9th-12th Grade) 170 – Andrew Turner’s place is 3rd and has scored 18.50 team points. High School (9th-12th Grade) 170 – John Saldivar’s place is unknown and has scored 0.00 team points. High School (9th-12th Grade) 170 – Mitchell Waetke’s place is 6th and has scored 8.50 team points. High School (9th-12th Grade) 182 – Noah Boender’s place is 6th and has scored 3.00 team points. High School (9th-12th Grade) 182 – Sam Niichel’s place is unknown and has scored 0.00 team points. High School (9th-12th Grade) 195 – Kaleb Reeves’s place is 4th and has scored 3.00 team points. High School (9th-12th Grade) 195 – Hunter England’s place is 5th and has scored 0.00 team points.